DemoCurmudgeon: Schimel botches smear campaign against Scott Walker "opponents" in John Doe investigation!!! Schimel botches smear campaign against Scott Walker "opponents" in John Doe investigation!!! 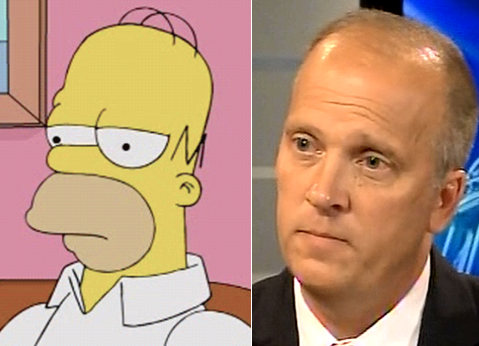 Schimel Incompetence: Schimel's latest partisan attack against Walker's supposed enemies is a disaster, especially his attempted smear of a Journal Sentinel reporters wife. Let's start at the dubious beginning. In a 91-page report the Republican attorney general sharply criticized the probe's leaders ... "The systemic and pervasive mishandling of John Doe evidence likely resulted in circumstances allowing the Guardian leak in the first place." Special prosecutor Francis Schmitz and the team he led ... handled seized material after courts told them they could not review it further or had to get rid of it. Despite secrecy orders ... Schimel investigated the leaks to the Guardian but not ones that were critical of the probe and appeared to be leaked by its targets. Schimel said ... Eric O'Keefe, the head of Wisconsin Club for Growth and a target of Chisholm's probe, had leaked information because "he has a right as a citizen to say whatever he wants. It would smack frankly of authoritarian countries” if someone were barred from saying his or her home had been raided, Schimel said. State Attorney General Brad Schimel said Thursday he will correct a court report in which he falsely implied a reporter’s wife had provided information to the Journal Sentinel while working for the state Supreme Court ... reporter Daniel Bice's wife, Sonya, did not work for the Supreme Court in the year stated in Schimel's report or even in the building he referred to. The reasons Schimel gave for deleting the inaccurate information were as false as the footnote itself. "The Journal Sentinel did not identify sources, nor did the Justice Department ever have any 'other evidence' to support its false footnote," said Stanley. Sonya Bice had not worked for the Supreme Court for more than a year by the time of the visit from investigators. She never worked in the office space at 110 E. Main St. In addition, while Sonya Bice worked as a lawyer in the state Capitol for Supreme Court Justice Patrick Crooks, from 2008 until his death in 2015, she did not handle any matters related to the John Doe investigation. Similarly, Daniel Bice did not report on any matters before the Supreme Court during the years his wife worked for Crooks.